Nothing is more relaxing on this terrible cold days then reading a book. And for me that is reading a Terhune book!!! 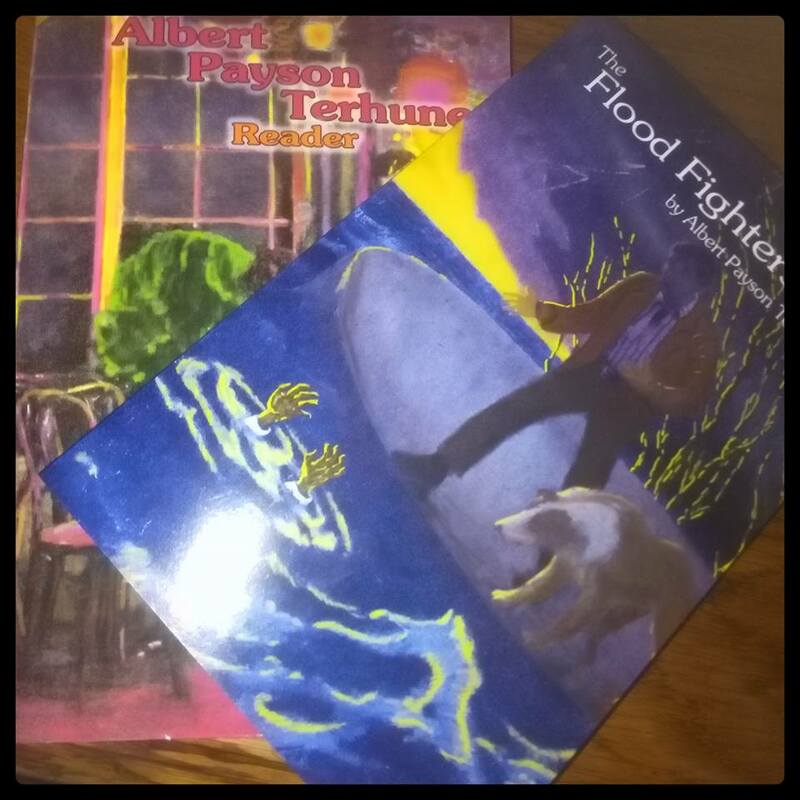 This is a new published story that Albert Payson Terhune wrote under the name Stephen Dircks. And it wasn't published in bookform until now. It came as a serial in Country Gentleman in the early 1920's, and now it finally came into book form. The book is not very thick and it is a quick read, but it is very exiting, it is about 2 young boy's and a collie (yay) who get into a riverflood! I found it not even a very dated story, most of the time I feel that way with those old books, but this one wasn't even that oldfashioned as I expected. The book is paperback but I also saw it was in kindle edition aswel. And what I find so beautifull about this book, is that it contains the Original artwork so on the start of every chapter there is a very nice print. And yes at almost all of those prints is a collie! I don't want to put spoilers over here so I suggest you to buy the book yourselve. And if I go on telling more the fun is over. So don't hesitate and go find the book. It is on Amazon and if you google you can find it on more online webstores! The Flood Fighers, and yes behind it is also a new Terhune reader! !